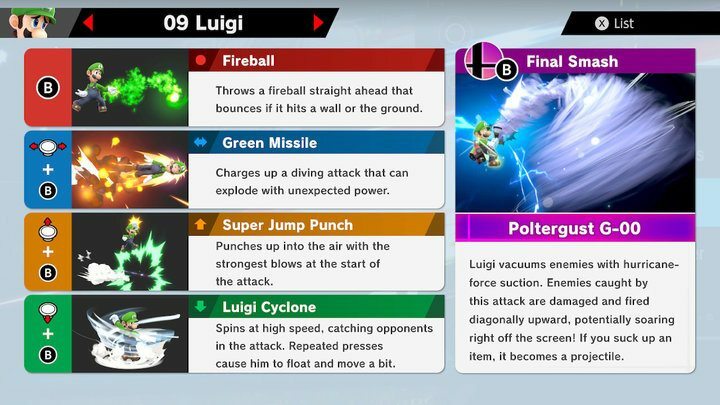 Luigi in Smash Ultimate plays a bit different from his previous versions. He's incredibly fast for a floaty character, and his throw is now ranged. Although he lacks range, all his attacks come out quickly and he can follow them up with multiple hits after each one. 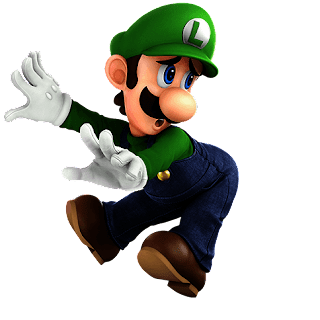 Luigi's Down Tilt comes out extremely quickly and makes for an effective ledge guard. He can jump higher than his brother, Mario. His Up Special, Super Jump Punch, will gain maximum damage and launching power when hitting the opponent right at the start. It truly is a "Special" move. He also uses his new Poltergust for his throw! Interested in more information on this character? Check out our other articles on Luigi or comment below for what you'd like to see!